We were inordinately pleased to see this, as all permanent members of the blog use Twitter to a greater or lesser degree, and of course the blog has a Twitter account of its own: @opinionsonhigh. Consequently, it is a useful and convenient way of communicating information about when hearings will be held, and when judgments will be handed down. 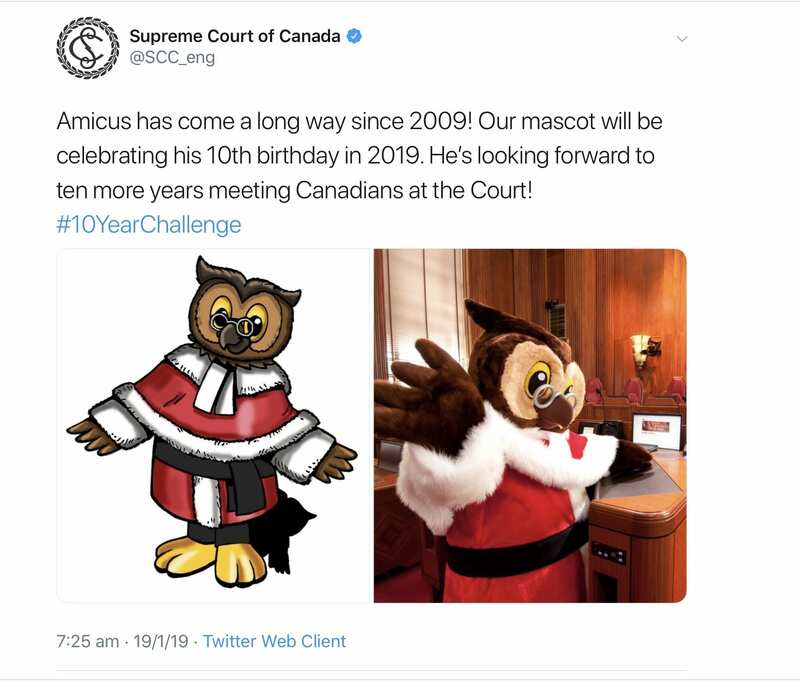 This development also brings the High Court of Australia into line with two other apex courts, namely, the United Kingdom Supreme Court and the Supreme Court of Canada. 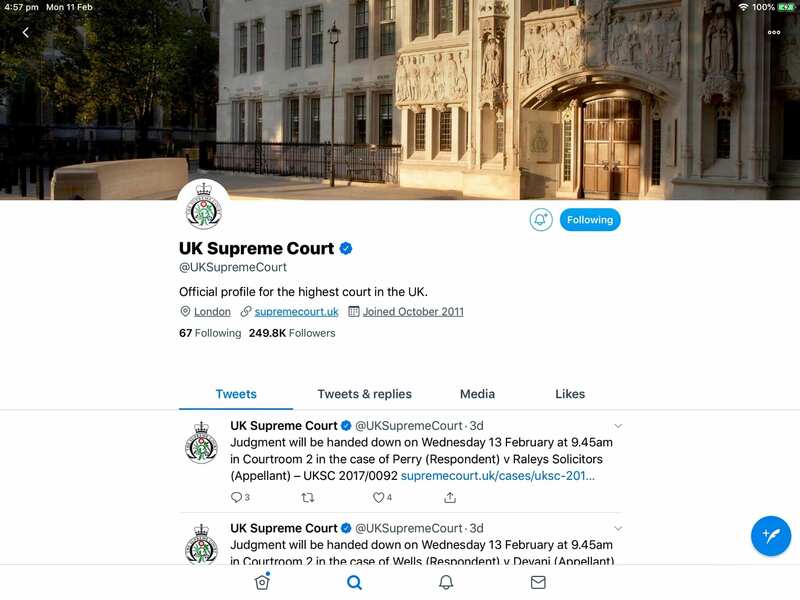 The UKSC was an early convert to Twitter, having joined Twitter in October 2011 as @UKSupremeCourt. 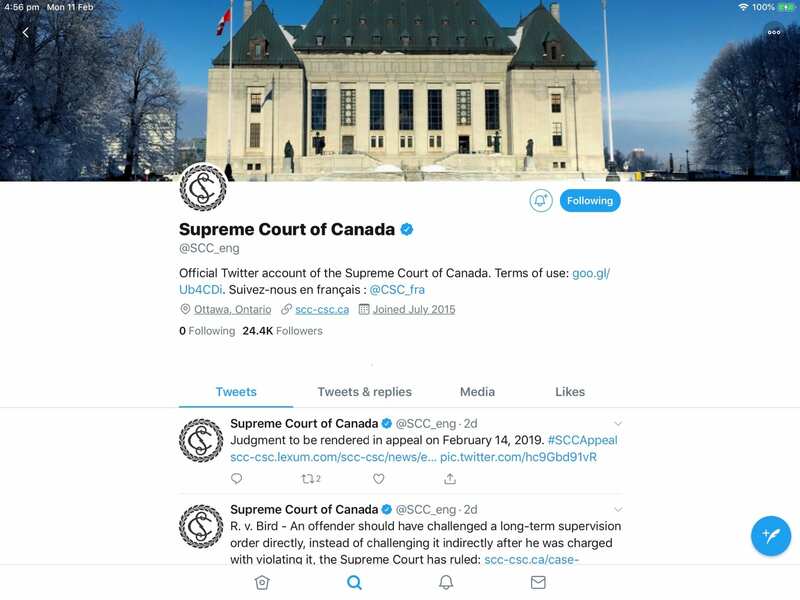 The Supreme Court of Canada joined Twitter a little later in July 2015 with tandem bilingual accounts, @SCC_eng (in English) and @CSC_fra (en Français). The United States Supreme Court is not on Twitter yet. Of course, none of the court accounts follow any other Twitter users. I imagine their interactions with other Twitter users are very limited, and they primarily fulfil an informative role in all cases, in order to maintain judicial independence and impartiality. 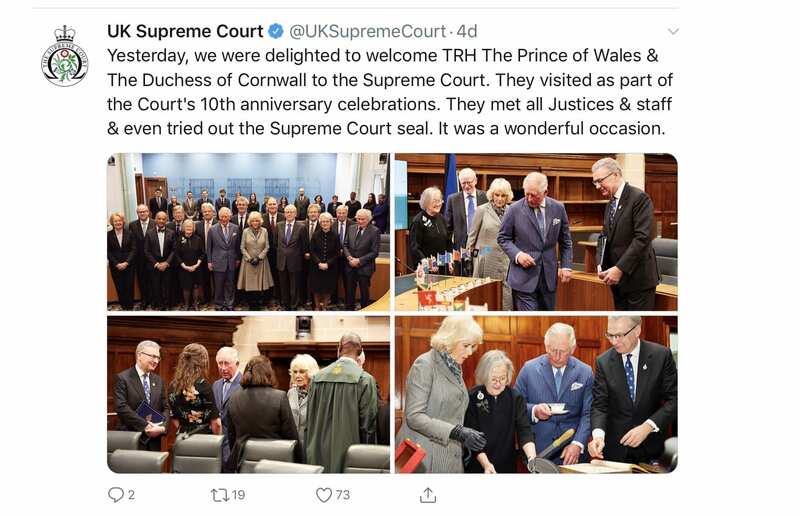 However, both the UKSC and the SCC accounts also have other less informative and more charming posts, including a post from the UKSC about the visit of the Prince of Wales and the Duchess of Cornwall, and a post from the SCC about the Supreme Court Mascot turning ten. The High Court of Australia Twitter account is already off to a great start, with over 900 followers after only three tweets. Opinions on High and its editors extends the High Court a very warm welcome to Twitter. We’re excited!